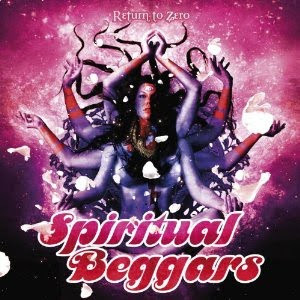 Hall of the Mountain King: Review: Spiritual Beggars, "Return to Zero"
For fans of his other bands that aren’t familiar, be aware that there’s very little metal here. About the only thing at all metallic on the record is the opening of “The Chaos of Rebirth,” which actually seems a little out of place here, but it’s still good. There is a Black Sabbath feel to certain riffs, particularly the opening of “Lost in Yesterday,” but it quickly gives way to a more psychedelic sound. Instead, the record is loaded with big blues rock guitar riffs, organ pieces and even a piano here and there. Aside from “The Chaos of Rebirth” and “Lost in Yesterday,” the big highlight of the record is “We Are Free,” with its huge grooving memorable guitar riff. It makes me think of a collaboration between Deep Purple and the Scorpions in the 1970s. 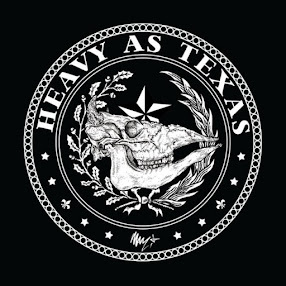 “Believe in Me” cedes the spotlight to bass player Sharlee D’Angelo, also of Arch Enemy, who lays down a mean groove over which Amott lays a great funky 1970s blues rock riff. Return to Zero also showcases the project’s new vocalist, Apollo Papathanasio, singer of Greek power metallers Firewind. He steps into the role here quite capably, getting to show just a little bit more soul than perhaps he gets an opportunity to do with his other band. He takes on a sort of David Coverdale/Jorne Lande vocal style on many of the songs that’s quite fitting for the sound. Spiritual Beggars, obviously, won’t be for all fans of Amott’s other efforts, but if you appreciate great 1970s-style blues rock grooves with just a little touch of psychedelia, it’s a great record.